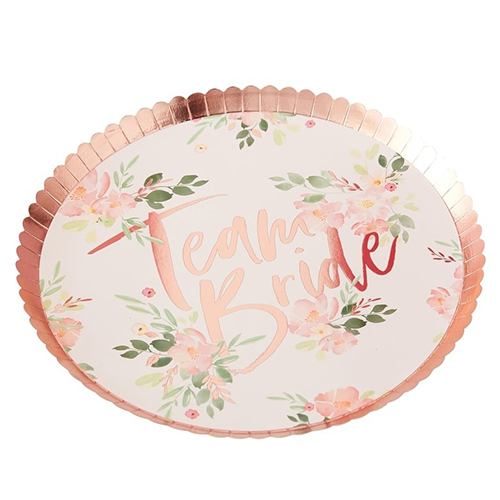 The Floral Team Bride collection represents the pinnacle of classy hen party accessories, the best quality most stand out designs across a really well thought out range of products. 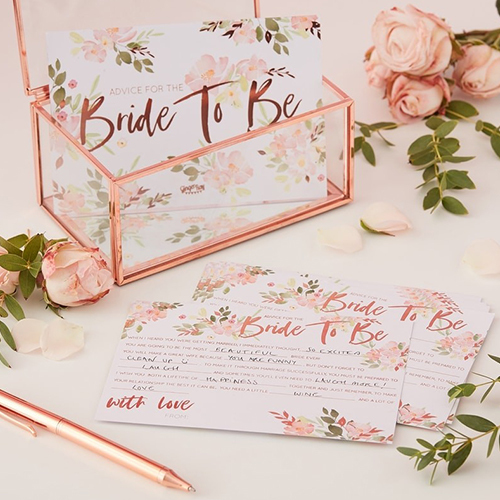 Combining a floral theme with rose gold foil is about as on trend as anything has ever been or ever will be, this is a brand new range for 2019 and we're very excited about it. 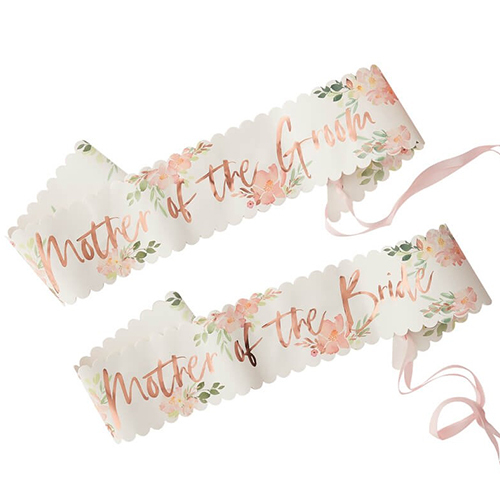 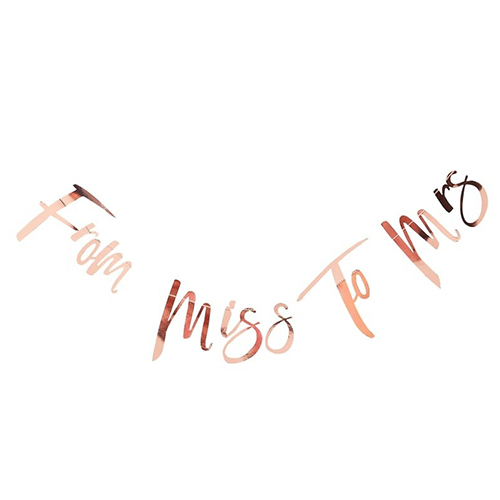 Building from the other collections we have, this range again offers the full selection of sashes including; Bride to Be, Team Bride, Bridesmaid as well as Mother of the Bride and Groom, meaning you can kit out the whole group in matching items. 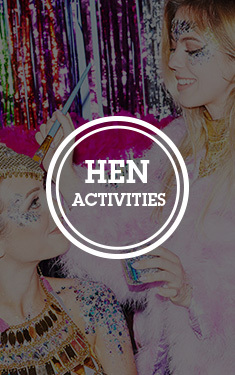 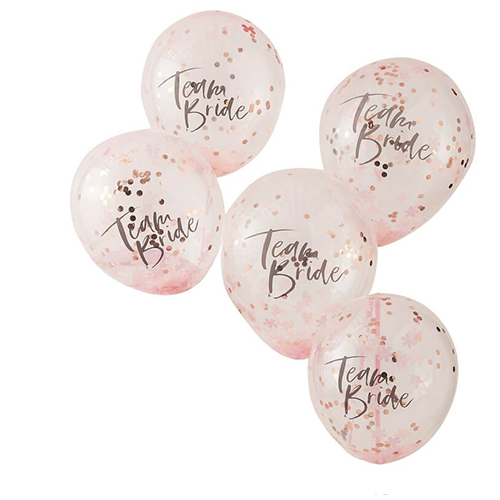 Then there are other classic hen party accessories such as the balloons, paper plates and cups. 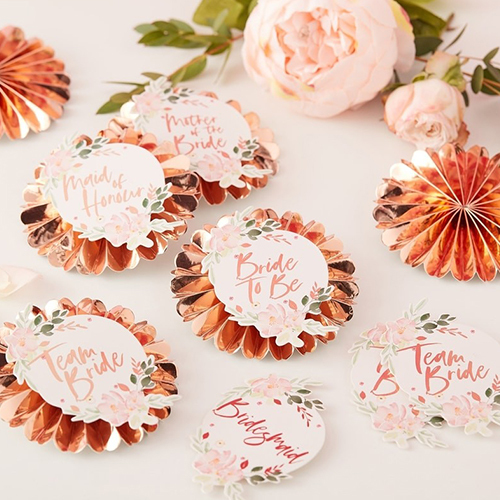 There are also some brand new additions with this range too, the Floral Team Bride badges offer a classy touch and can be customised with the stickers which come with them. 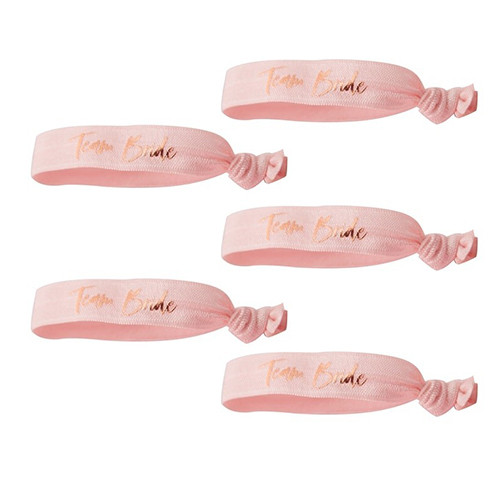 A similar new idea is the pink and rose gold Team Bride wrist bands, a really subtle way to get everyone involved. 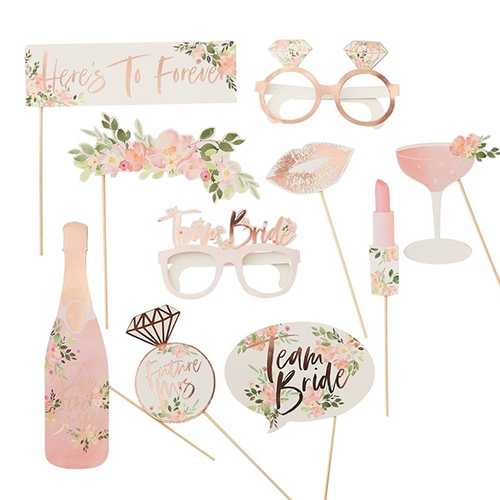 The Floral Team Bride photo booth props make it ever so easy for the group to take fantastic photos of the event, the ten piece set includes some great props including a diamond ring and a "here's to forever" banner. 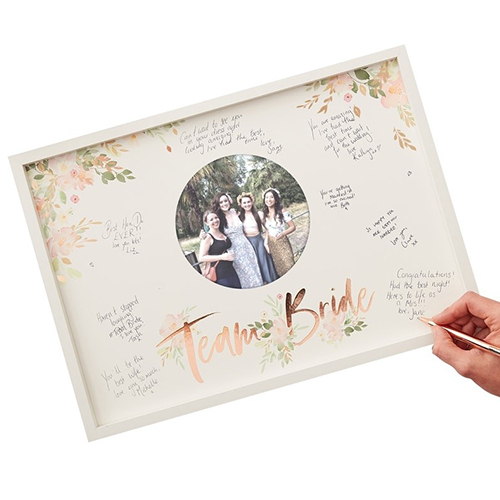 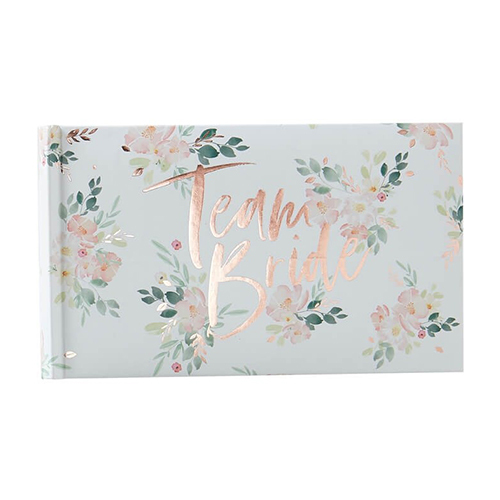 We've also added a Team Bride guest book frame and a photo album to the range so you can display the pictures and create a keepsake for the bride to be. 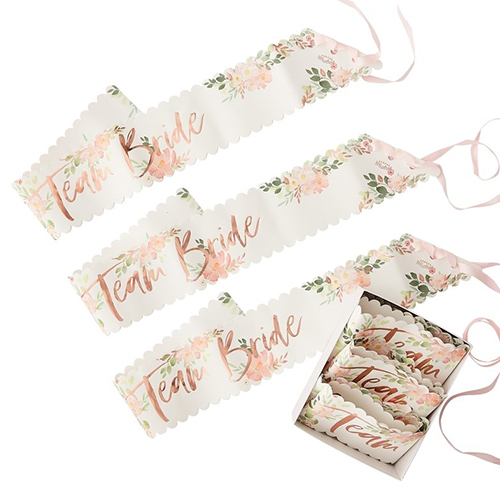 The one item in the Floral Team Bride collection which really stands out as being different is the rose gold Bride to Be headband with veil. 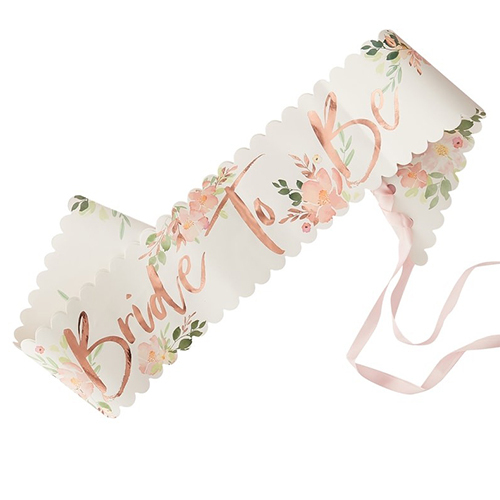 we have so many headbands and veils in our range but to be honest they can be a bit tacky, this one on the other hand is absolutely gorgeous, a real breath of fresh air. 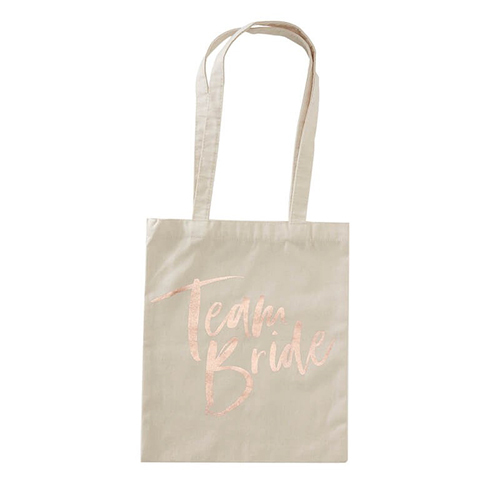 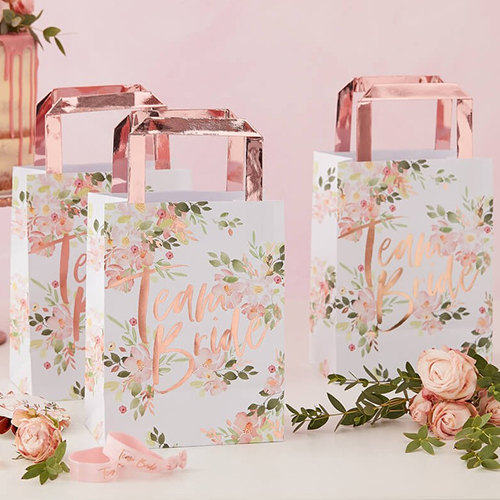 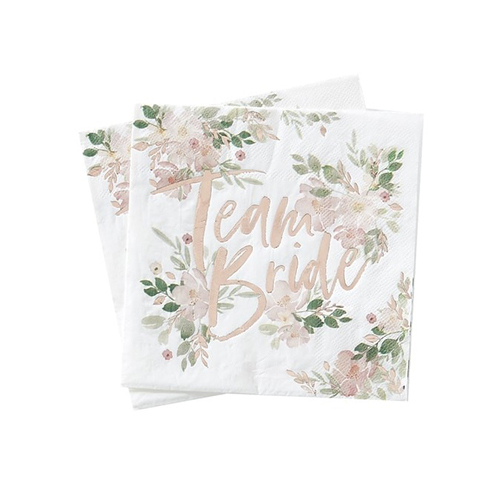 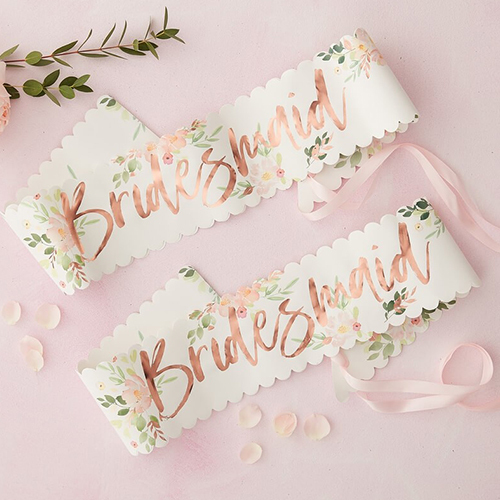 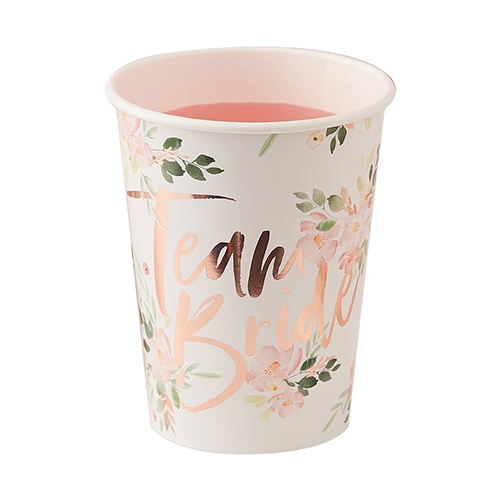 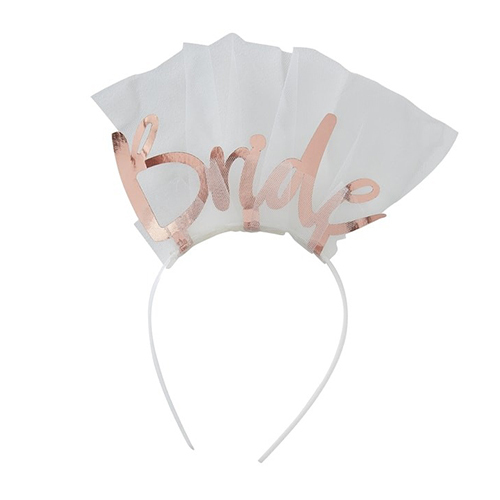 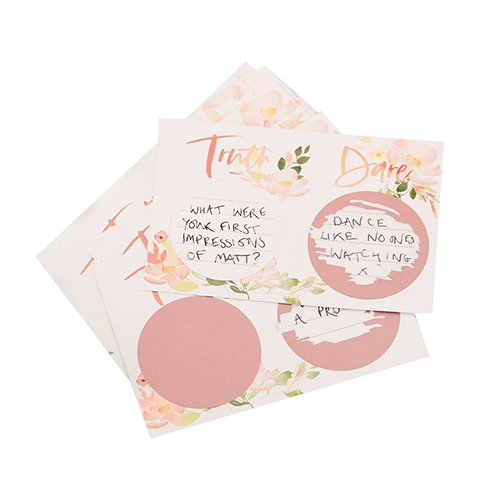 On top of all of this there are advice cards, truth or dare games, two kinds of gift bags and bunting, you name it we have it and this Floral Team Bride collection really is the last word in classy hen party accessories.